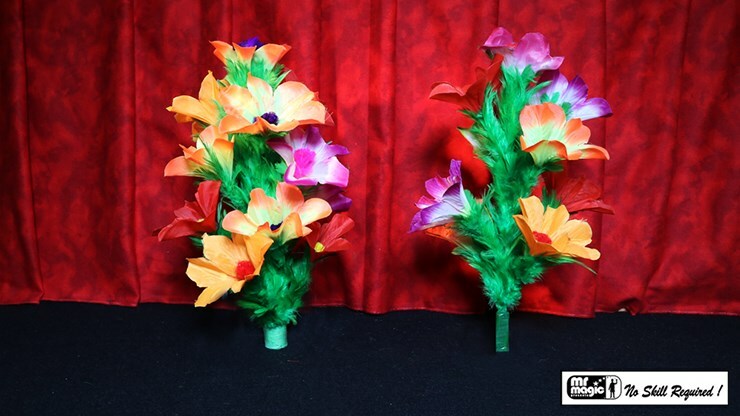 The Double Flower Bouquet is a traditional staple in stage and parlor magic. The magician holds a beautiful, colorful bouquet of flowers, and as the magician bows to the audience -- suddenly two bouquets appear! Imagine your audience's surprise!